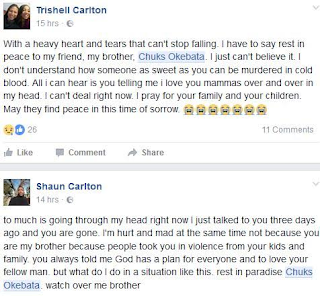 Nigerian born US Army veteran, Chuks Okebata have been murdered in cold blood at his home town (Umuduruorie Umuomumu Mbieri in Mbaitoli LGA. 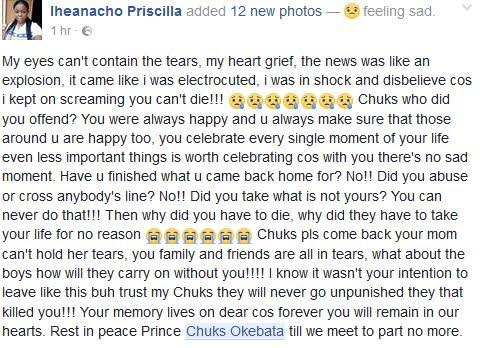 As you read this, Already, friends to the Late Chuks Okebata have been posting heart warming tributes to mourn their friend on social media. According to Linda Ikeji blog, A man who claims cousin to the victim told the story, he says; 'My cousin is A USA Veteran, who has spent most part of his life working and defending the United States of America, After a very long time living in the USA, and because of the love he has for his country Nigeria and his home town (Umuduruorie Umuomumu Mbieri in Mbaitoli LGA) he started building a house at home as a bond that make him to be frequenting his mother land. 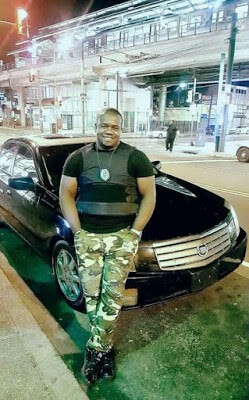 Just as he returned last Xmas to spend his vacation in Nigeria and also to move into his new home. At Exactly 5pm on the 12th of Jan 2017, some gun men abducted and shot him'. 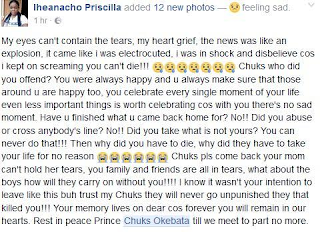 'for all I know about my cousin, he has always been a free, gentle, and relates to everyone irrespective of your age. He's survived by his two lovely sons and a wife whom, though, have not been in "smooth terms" with back at the States. The family to the decease have proven their determination to seek justice for her Late son by placing a bounty of 2.5million naira reward on anybody with useful information that can lead to the arrest of the assassins.